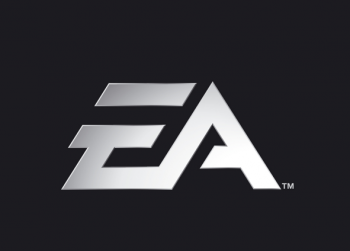 EA Wins Title of "Worst Company in America"
Citizens of the internet have crowned EA "The Worst Company in America" in a Consumerist.com poll. Corporations, generally speaking, aren't popular. We lambast them for inhuman lending practices, faceless and faulty customer service, stagnant pay rates, and a wide variety of other perceived misdemeanors. So, which one do internet users dislike the most this year? AT&T? BP? Comcast? All worthy contenders, sure, but nope. According to a recent poll conducted by Consumerist.com, the internet of today regards game publisher EA as "The Worst Company in America." EA faced stiff competition from WalMart, Citibank, the US Postal Service and a small army of other corporations in Consumerist's knock-out poll before squaring up to the much-reviled Bank of America in the final. Bank of America, which contributed to the global financial crisis several years ago and later absorbed 138 billion dollars' worth of taxpayer-funded bailout money, received just under half as many votes as EA in the final round. Consumerist.com says that it will now send EA "The Golden Poo" trophy in recognition of the company's victory. Any guesses on what the special twist might be? "Traditionally, the Poo has been delivered on its little red pillow," writes the Consumerist. "But this year, we'll give EA three different color options for its pillow, though in the end it's still the same old Poo." Yup. EA itself doesn't seem terribly upset about having won The Golden Poo, however. In a statement, EA Senior Director of Corporate Communications John Reseburg told Kotaku that, "We're sure that British Petroleum, AIG, Philip Morris, and Halliburton are all relieved they weren't nominated this year. We're going to continue making award-winning games and services played by more than 300 million people worldwide." Consumerist.com cites the reasons for EA's victory as being its attempts to "nickel and dime consumers to death" and "deliberately hold back game content with the sole intent of charging a fee for it at a later date." With that in mind, it's hard to decide whether the outcome of the poll says more about internet users or EA itself. Would the publisher have fared better if the poll had been conducted six months ago? Is its inclusion a statement on the growing importance of the games industry in America? Is EA really worse than Bank of America and WalMart? I'm beseiged by questions, Escapists. Help a sister out.